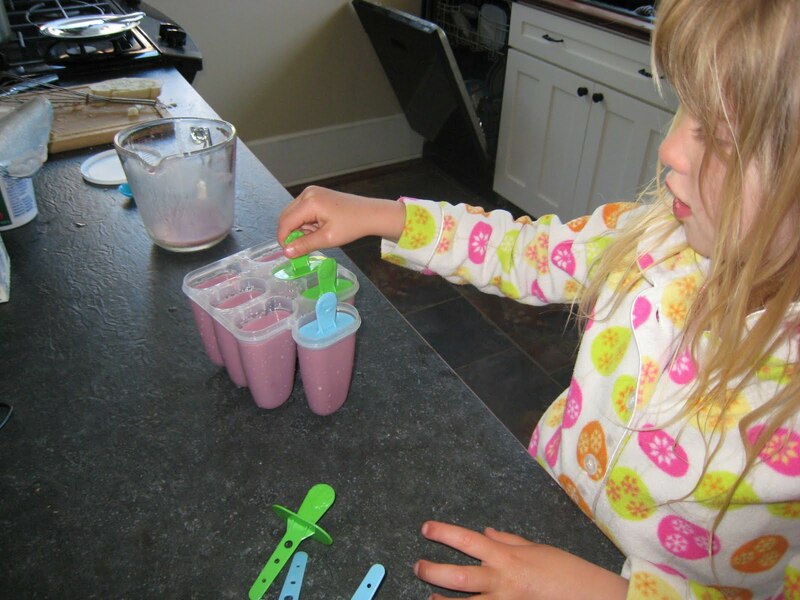 The Montessori Child at Home: Homemade popsicles...or anything else. As adults, we all know the feeling of accomplishment that comes from seeing a task through from beginning to end. The same is true for our children - especially when it comes to food. 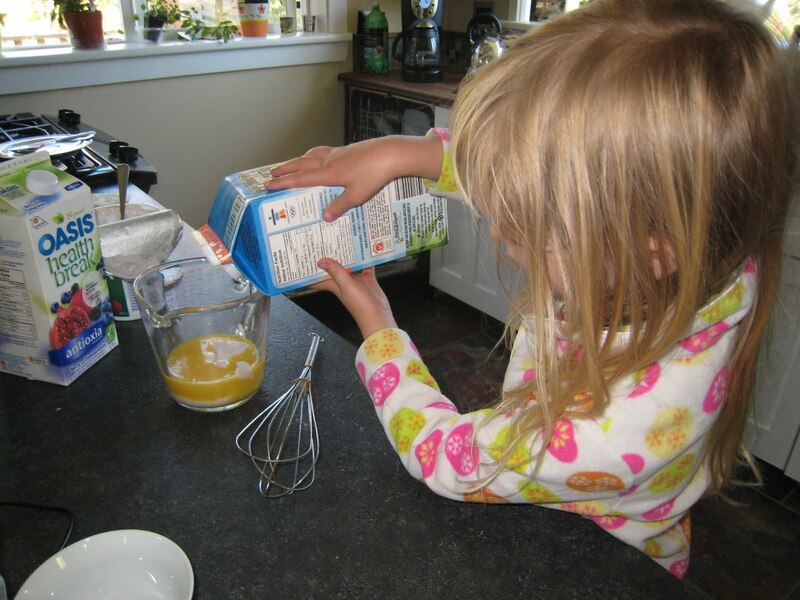 How empowered a young child must feel when the home environment has been so carefully prepared that she can make something to eat all by herself. K's Mom just sent these pictures of K. making popsicles. 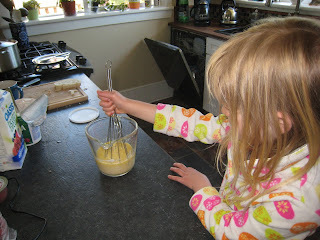 K. is 4 but because her home environment has been set up to aid her independence, she can make these treats whenever she likes (as long as the ingredients are on hand). K.'s Mom wrote "Simple recipe, just yogurt and fruit juice. Add the two, stir together, pour, freeze and enjoy. And I don't mind if they have three in a day." 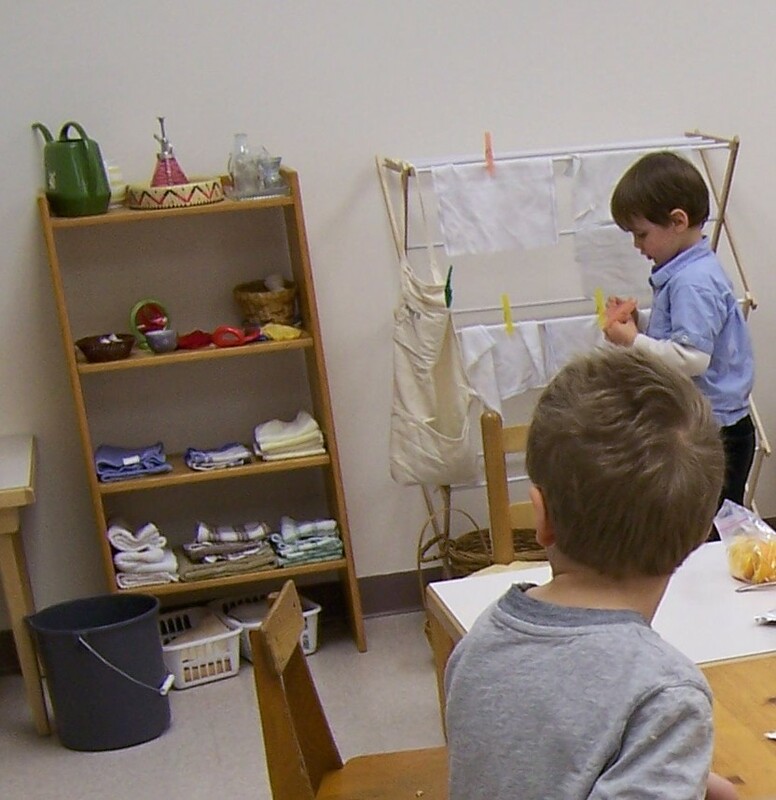 Just like in the classroom, cleaning up is part of the work cycle and part of preparing the environment. 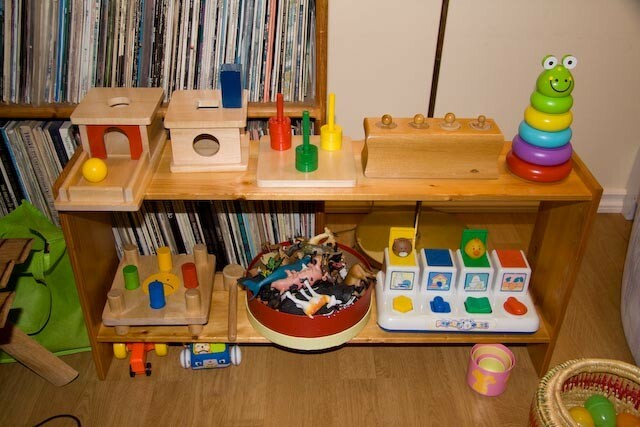 Classrooms usually have a supply shelf set up so that the children can easily find the tools they need to restock an activity or clean up when there is a spill. The girl in the next picture had just finished rinsing out her pants (paint spill) and put them on the drying rack. She then noticed that water had dripped on the floor so she went and got the bucket used to clean up spills. The bucket is equipped with a sponge and a dry cloth. She got up most of the water with the sponge and then used the cloth to dry the rest. After that, she put the cloth on the drying rack and got another dry one for the bucket from the supply shelf. Many homes don't have the space to accomodate a shelf and a drying rack and wouldn't need nearly as many cloths. A low drawer or cupboard can be used to house the cloths and the small bucket. The clean up tools should be child-sized and easily accessible so that clean-up does not become a major chore or battle of wills. Cleaning up should flow easily with maybe just a comment from a parent like "Let's clean up. I'll help." This is wonderful for K, her parents are doing a great job with her. I know since I have been incorporating the montessori principles in my home parenting has become a lot more fun. Thanks for sharing.